I can’t decide if it feels like it has been years or weeks since Google announced the first Google Glass Explorers Program at I/O 2012 by jumping out of a blimp above the conference that was going on. Such drama. Such excitement. 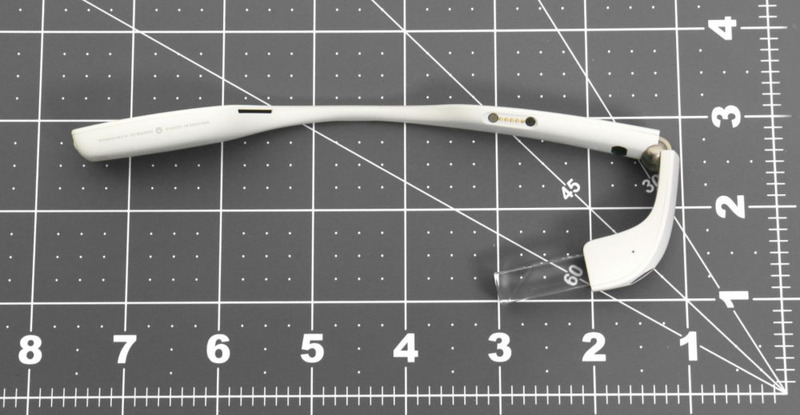 Google’s latest model of Glass passed through the FCC recently and the news just seems, not as exciting. To be sold in the United States with a WiFi and Bluetooth radio inside, this FCC stop is fairly routine. It needs to pass regulations, which is the cause for all the boring measurement photos of the device. Rumors of this upcoming device say that it’s going to feature 5GHz WiFi capability, increased battery life and some other improvements, but Google hasn’t officially announced anything yet. Luckily for us, stops like this by the men and women at the FCC usually mean a finished product isn’t too far down the line. What’s surprising to us is the mundane feeling this Glass news brings. Such a fall from where it started in 2012 with the extreme sports entrance into a live crowd during Google I/O. Is this the niche that Glass has been relegated to so it can make a profit? Enterprise and business customers? Business is business I guess. After re-watching that entrance into I/O, I’m trying to imagine what could have been if Glass didn’t cost $1,500 to try.